It's SEMA time again, which means that car manufacturers are about to show off a ton of concept cars that will never enter series production. These are what Mazda's concepts will look like, but they're being incredibly cryptic with what's actually under the hood. 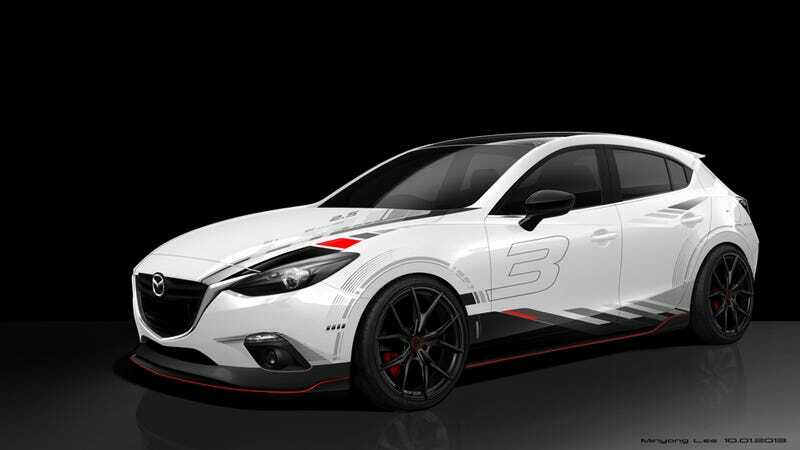 From the looks of it, Mazda will have two 6s and two 3s. Two of them look to be stylish and two look to be performance oriented. There are new "rims" (wheels, to the layperson), graphics, new suspension, and probably new interiors. Mazda won't divulge any of the actual details about the cars, so I guess this is a just a teaser to whet our appetites. We'll see all the cars for real when SEMA opens in the next week.